Ever closer! 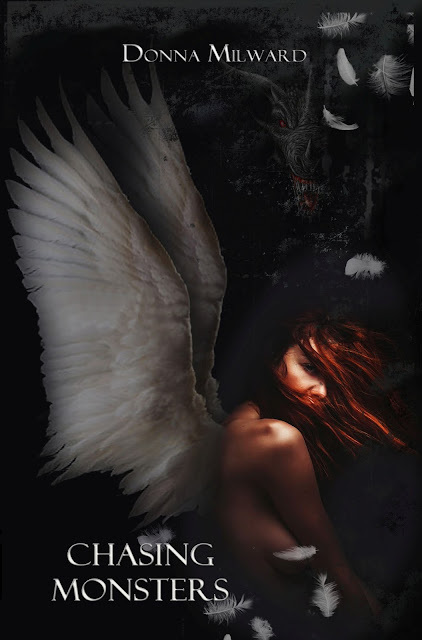 I can't tell you how excited I am to show you the cover for my upcoming novel CHASING MONSTERS! My God, this feels like it's taken forever. Here's where we're at...Edits and formats done and downloaded. Front cover--downloaded. Bookmarks? I'm going to see if I can get my bestie to help me with that. Melaida's the one I turn to when I can't computer. I'm hoping to have a contest later in February. I'm hoping to have paperbacks to give away. HOPING. Because we know there will be a GLITCH somewhere. In fact, they're already here! This cover is the first glitch. Terra Weston did a front AND back cover for this novel. The problem? It's too big. Createspace doesn't accept anything over 40 MB, whatever that means. I don't speak tech. I haven't given up. I really want everyone to see what the back looks like. She did a phenomenal job, yes? Bookmarks might be fun...Like I said, I'm going to buy Mel dinner if she helps me again, but wouldn't you know it? My printer leaves black guck on everything. This might be a job for Vistaprint. We will see. In the meantime, feast your eyeballs on this deliciously wicked work of art, and know that someday very soon, there will be a book behind it. Normally I try to keep politics and writing separate. Yes, I'm perfectly aware that my true feelings have a tendency to leak into my work. But if you've ever read any of my stuff, I'm sure you've guessed that I am a feminist. I've actually been a feminist since I was a teen. 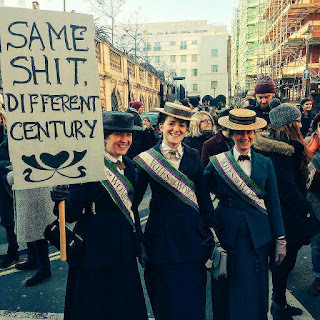 Truth be told, I distanced myself for a lot of years when I found the feminist movement seemed less about women's rights than it seemed to be about being MORE equal. I happen to like men. I have male friends I adore, and like to coffee with.Guess what? My husband ALLOWS that! He allows me a lot. Part of the reasons why I married him. Anyway, I wasn't willing to view them as my enemy to get my point across. I saw a movement that no longer reflected my views. I viewed old school feminism as an aggressive, bad joke unto itself. But the new feminist movement recognizes EVERYONE as equals, and I'm proud to support it. Men, women, gay, trans, children---we all deserve equality. I speak of it on my personal Facebook page. I feared I was one in a handful of people who cared. Where was I? I was at work. It's a Saturday, a restaurant/pub's busiest day of the week. I worked on a team of four men, and three women, and we all have important parts to play. I lift things, chop things, mix and prep things. I'm also the 'runner', as in I run to get things for the cooks in order for them to make the food orders. It's a team effort, and I really like my co-workers. I don't make excuses to not do things because 'I'm a girl', and my male co-workers don't disrespect me. We all respect each other, and I love that. I work because I am in a partnership with the man I love, and when he got laid off I stepped up and got a job. Now we're both working, and we're surviving decently. I still have to keep the job--which works against my writing, but I'm okay with that. Because it's my mortgage too. Because they're my bills too. And why should that be all his responsibility anyway? Who decided that the MAN had to do all that? Gone are the fifties. Gone are the days of the single income home. The ideal of the perfectly coiffed housewife and the immaculate home and children are gone. Thank God. While there are still women who would like to have families and be homemakers, there are some who would prefer to work and avoid motherhood. We should have the right to CHOOSE. Today, when I came home from work, I saw my facebook page filled with hope. I am NOT alone. There are thousands upon thousands of us--men and women working together to fight for what I believe are basic human rights. It brought me to happy tears. I may be an armadillo, but know this...I am a feminist and I've never been prouder! Labels: equal rights, feminism, The world March, Washington D.C.
God, I love Henry Rollins. Smart, handsome, funny and interesting--everything museworthy. He's a radio announcer, vocalist, columnist, writer, punk icon and much more. Oh, and he's also Brave. He's touring Canada in January. It was -17 Celsius in Edmonton last night. Note the capital 'B'. My husband and I got to see him last night, doing one of his spoken word shows. 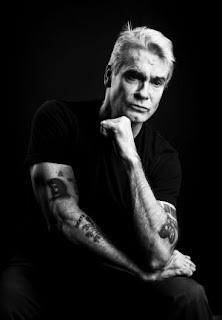 In fact, when I told my husband Henry Rollins was coming to Edmonton his response was "Oh yeah, let's go!" You see we saw him a few years back, and I have never heard my husband laugh so much and so hard. And I've been with that troll for twenty years. How does anyone talk about themselves for two hours, all the celebrities they've met, all the places they've visited and all the things they've accomplished without being boring and pompous? That's a rare gift. There's a lot about the Black Flag frontman that astonishes me. How does he travel the entire world and keep up with a regular column? I can't figure out what to blog about. Where did he find the time to write books while touring? I can barely pump out a book a year. How does he keep up with and answer all his emails? Sometimes I can barely look at mine, never mind respond timely. How does he keep up with world politics? How does he know about which country voted for who? I've been getting my news from social media. (I know. I'm sorry.) and can barely stand to look at what Canada and the US are doing. And HOW does this guy make time for friends and fans who ask advice and opinions from him on a weekly basis? How does he seem to have the right answers? How does he tell the sad stories of the broken people he meets and turn those tales into pure inspiration? How does he make us laugh? How does he sound geeky and humble while talking about meeting Iggy Pop, David Bowie and Lemmy Kilmister? Must be a muse thing. Do you understand why he is MY muse? Henry Rollins, if you ever see this blog, I want you to know I am grateful for you. I'm grateful for your books and your lyrics. I'm grateful for your sense of humor (Thanks for making my husband laugh so hard. That's a rarity in itself.) I'm grateful for your sweet neurosis and that you choose to share it for the sake of entertainment and inspiration. YOU are truly MUSEWORTHY and you bring me happiness and ideas. You also gave me a much needed kick in the pants. If you can do all these things and still write, I can hold down a job and write novels. Now if you'll excuse me, I have to begin the edits I'm afraid of. I also need to research Eastern mythology for my next novella. Labels: Henry Rollins, inspiration, muses, museworthy, Punk Icons, spoken word tours, Things to do in Edmonton.